Create leads/deals and log call activity directly on Pipedrive using CallRoot - Pipdrive integration. Know More.. Create contacts and log call activity directly on Hubspot using CallRoot - Hubspot integration. Know More.. Create zapier application for more than 750 integrations using CallRoot - Zapier integration. Know More..
Log all your call activities with source and keyword used by the lead to arrive on your website directly on Copper using CallRoot - Copper integration. Know More.. Create events on Google Analytics for all the incoming phone tracked via CallRoot tracking number and know which keyword or source is driving more calls. Know More..
Track calls generated by your Google Ads directly on Google Adwords account, using conversion created by CallRoot for each call received. 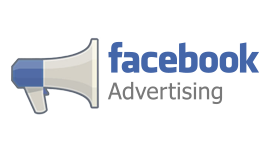 Know More..
Show Ads on Facebook to the callers, who called on the DNI number, using the audience created by CallRoot automatically on your FB Ads account. Know More.. Setup CallRoot Dynamic Number Insertion js on all the pages of your Wordpress website using CallRoot - Wordpress integration. Know More.. 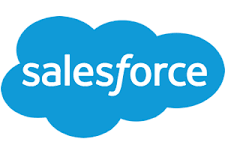 Create leads and track call activities directly on your Salesforce account using CallRoot - Salesforce integration. Know More.. Create leads and track call activities directly on your Intercom account using CallRoot - Intercom integration. Know More..
Get call details of your leads with CallRoot-Podio integration. Know More..
Get name of the Caller using CallRoot - OpenCNAM integration. Track your best variation of experiment with Optimizely. Know More..
CallRoot creates a lead automatically on Insightly and log activity corresponding to the lead. Know More..
Get call details of your visitors with CallRoot-Kissmetrics integration. Know More..
Get call details of your visitors with CallRoot-Zoho integration. Know More..